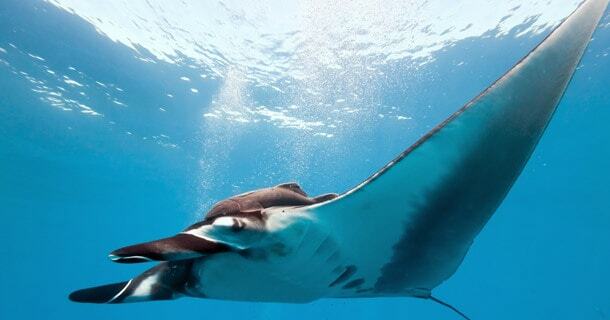 We own and run PADI 5 Star dive centres and resorts in Bunaken, Lembeh, Lembongan, Amed, Lombok & the Gilis. You can choose from any of our great locations, as single location for the entire time or as a combo of 2 or more. Fully inclusive with DM course, manuals & materials, Dm application fee, accommodation, equipment rental, airport transfers and unlimited diving!! Choose from any of our great locations as a single location, or a combo of 2 or more! 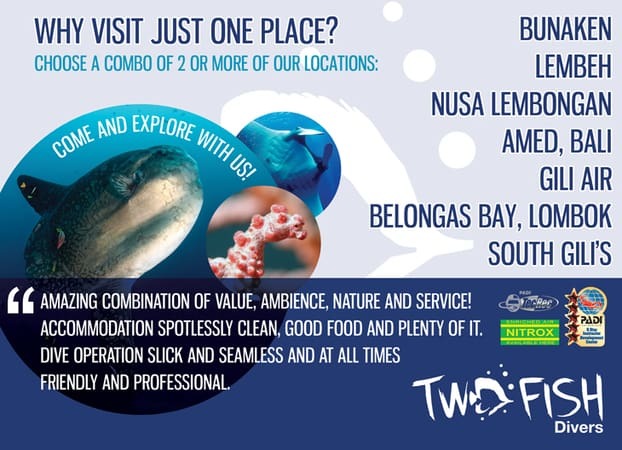 Why Choose Two Fish Divers? Do your DMT over 2-3 locations in Indonesia! We are the only operator in Indonesia that offers this, why settle for just 1 location? Join us for a 2-4mth internship after the Divemaster Course Depending on guest numbers, we are happy to offer a free 2mth internship after the course as long as you fit in with our team! Small numbers of DMTs per location We think that you will get a much more personal service / better experience than being just 1 DMT in a group of 10 DMTs! Special IDC Combo!! Start your Divemaster program at one of our centres which is running an IDC at the same time and we’ll give you a discount of IDR825,000!! Want to become an Instructor? If you do your PADI Divemaster course with us we’ll give you a 10% discount on your IDC!! We offer all inclusive DM internships over 4, 6 or 8 weeks depending on the amount of time you have for your trip, the amount of dives you already have and your current certification level. 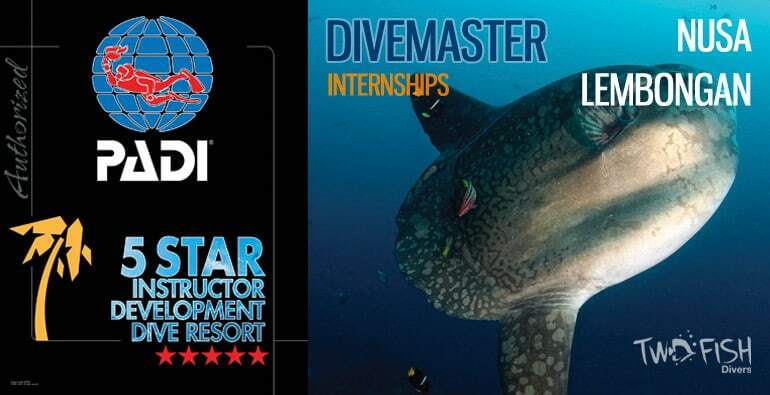 FULLY-INCLUSIVE DIVEMASTER INTERNSHIPS IN SOME OF THE BEST DIVE LOCATIONS IN INDONESIA, GREAT VALUE! The PADI Divemaster course is your first step towards a professional scuba career. During our comprehensive program you will work closely with our team of experienced PADI Instructors assisting with student divers and developing your leadership abilities. The course covers all aspects of being a dive pro from understanding the theory of being a Divemaster, to using a SMB and mapping a dive site. You will gain valuable experience, knowledge and dive skills, and on completion you will be ready and prepared to lead others into the water, confident in the knowledge that you are able to safely deal with any situation. 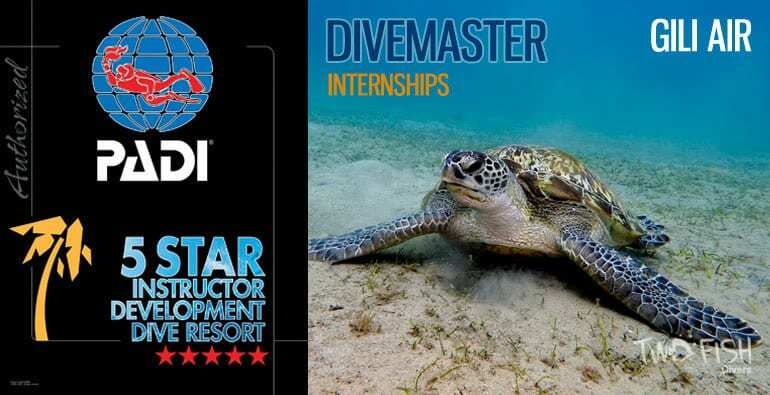 Our Divemaster Internship is designed to be completed over 4 weeks, and will cover all the PADI curriculum components, plus your chance to build on that during an internship period. We do not have any fixed schedule, so you can start your internship when convenient. During your internship you will see how it feels to work as a PADI Divemaster in a busy dive resort, “shadowing” our experienced staff. You will meet our guests – novice and seasoned divers – help our staff guide certified divers, and assist our Instructors with training courses. Your Divemaster duties can include pool demo’s, sales, planning and conducting dive excursions, and of course plenty of diving! It was a great experience to be able to do this training in three different Two-Fish Divers locations (South Gillis/Lombok, Bunaken and Lembeh). I would like to thank all instructors for their excellent teaching and for sharing their experiences with me. I also should thank the Two-Fish Divers staff from this three locations for their warm welcome and all their support during my internship. Our 4 weeks DMT Internship is aimed at those who already have the 40 logged dives that are a pre-requisite for starting the PADI DM course. As well as offering a professional DM course we can also offer more DM experience as part of the course. Over the 4 weeks you will get more involved in the dive center helping out with dive centre briefings, assisting instructors with courses, and following the dive guides. Contact us about DMT now! Our 6 weeks DMT Internship is aimed at those who do not yet have the pre-requisite 40 logged dives, OR for those who want to get more experience & confidence. It also includes 5 x PADI Specialties (Nitrox, Deep, Wreck, Night, Search and Recovery) and the Master Scuba Diver certification. Over the 6 weeks you will get more involved in the dive center helping out with dive centre briefings, assisting instructors with courses, and following the dive guides. Our 6 weeks DMT Eco Internship is aimed at those who want to complete their PADI Divemaster course with an emphasis on conservation, with or without the pre-requisite 40 logged dives. 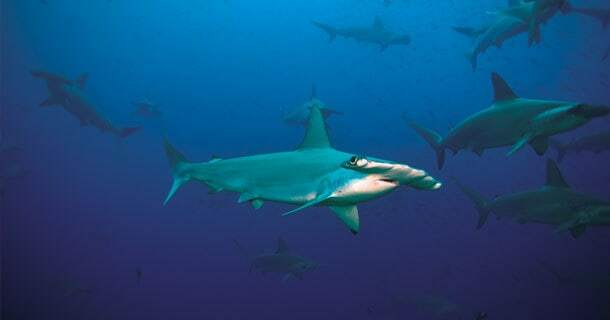 It includes 5 x PADI Conservation specialties – Coral Reef Conservation, Underwater Naturalist, Fish ID, Shark Conservation, plus one other. You will also get the Master Scuba Diver certification. 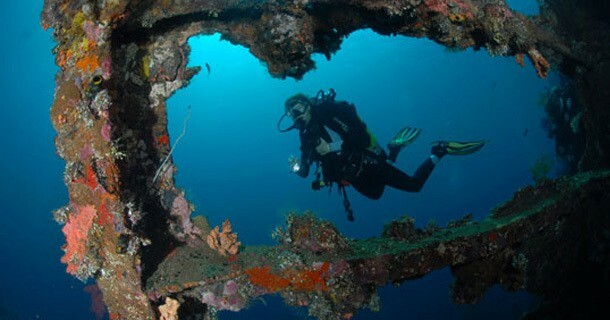 Want to improve your dive skills, find out about deco diving, do some deeper diving? With our unique DM Tech Internship you complete the basic divemaster internship over 4weeks to become a PADI DM, followed by a more intensive Tech internship that includes tech courses & qualifications that allow you to dive to 45 m with unlimited decompression using up to 100% Oxygen. The tech internship will give you a thorough foundation in technical diving including sidemount and twinset diving, and both a PADI and a TDI version are available. 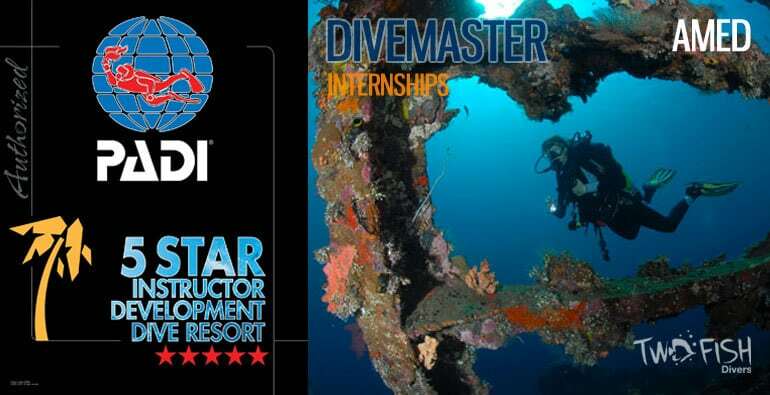 This internship is for those with little to no experience in scuba diving who want live their dream and become a PADI Divemaster so that they can earn income, explore the world and dive in some unbelievable places. The Zero-to-Hero Internship does this by taking you from a complete beginner to the PADI Divemaster Level over 10weeks and includes Open Water Course, Advanced course, Rescue & EFR courses, 5 x PADI Specialties (Nitrox, Deep, Wreck, Night, Search and Recovery), the Master Scuba Diver certification, the PADI Divemaster certification, accommodation, transfers, equipment rental, and UNLIMITED fun-diving. This internship is offered over multiple locations! We are the only operator in Indonesia that offers this, why settle for just 1 location? Most people tend to do about 10-14 days in each location, so if they are on a 6-week internship then they will do a combo of 2-3 locations. This gives them some great experience of diving different locations as well as how different dive shops operate. You can check out the blog posts of our DM students to get a feel for what they did and how their internship went. However, combo in different locations comes with a cost – Indonesia is a huge place and there will be transport costs involved. We have put together a blog post about planning dive trips to Indonesia that may be of some help to you. Contact us about DMT Combo now! Want to spend longer with us? 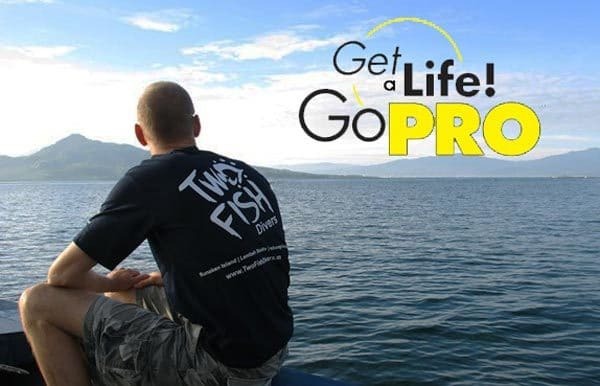 Want to combine Lembeh and Lembongan or Bali Mainland and Lembongan for your internship? Want to include South Lombok? We can customise your adventure to your schedule and itinerary. Just let us know your requirements and plans! will put you several steps ahead of most of the other candidates. Our aim is to produce the best and we expect full commitment from our Divemaster trainees to become true diving professionals. OPPORTUNITY TO PAY OFF YOUR DM INTERNSHIP IN RETURN FOR WORK? SEE WHAT WE THINK ABOUT THIS HERE. 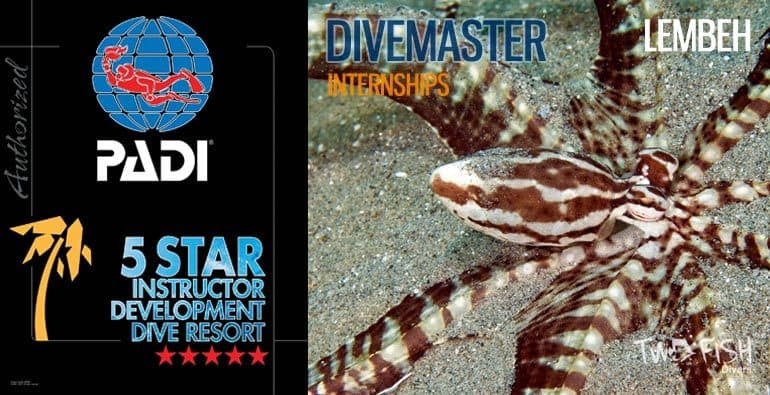 Our PADI Divemaster internships are run over our locations in Bunaken & Lembeh (North Sulawesi), Nusa Lembongan & Amed (Bali), and South Lombok & Gili Air (Lombok). No other dive centre can offer you all of these fantastic locations! You can choose whether you take the course in one location or make a combo of these locations. We recommend combos as you will benefit from a wider range of experienced instructors in our team. All of our locations are based on tropical-island dive resorts in Indonesia with world-class diving right on your doorstep – the world-famous reefs of Bunaken, the muck diving magic of Lembeh Straits, the mantas and mola molas of Nusa Lembongan, the world-famous sites near Amed such as Tulamben & the Liberty shipwreck, the schooling hammerheads of South Lombok, and the sites of Gili Air that are famous for their turtle mania. 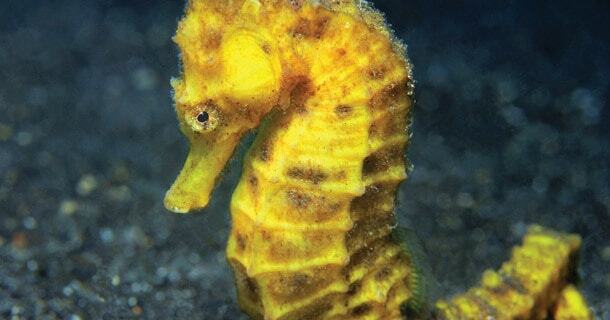 All our locations are known for their world-class diving, right on your doorstep! 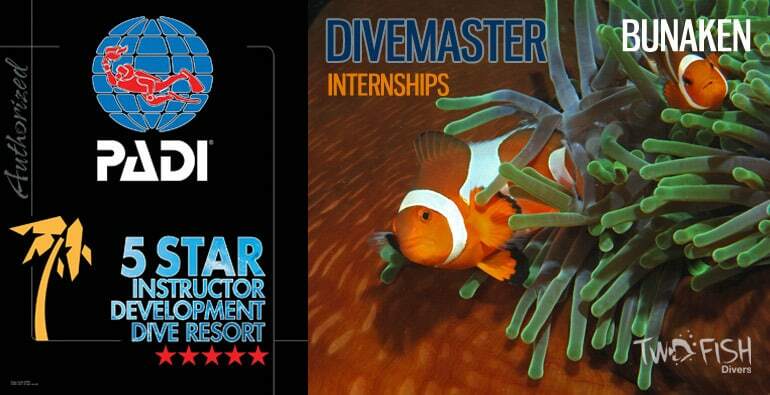 At Two Fish we aim to give you a complete internship to make you the best Divemaster possible. Our instructors in all of our PADI 5* dive centers are very experienced in teaching Divemaster courses and we are all happy to share our knowledge and experience with you. In return we expect you to come with a positive attitude and be willing to learn and act as a trainee member of our dive team. We don’t like crowds, so we never have more than 4 interns at any location, and often there are no more than 2, giving you more attention from your instructors and more chances to help in the dive center and get real-life experience. At Two Fish we give you true all inclusive internships with no hidden extras or surprise costs at the end. 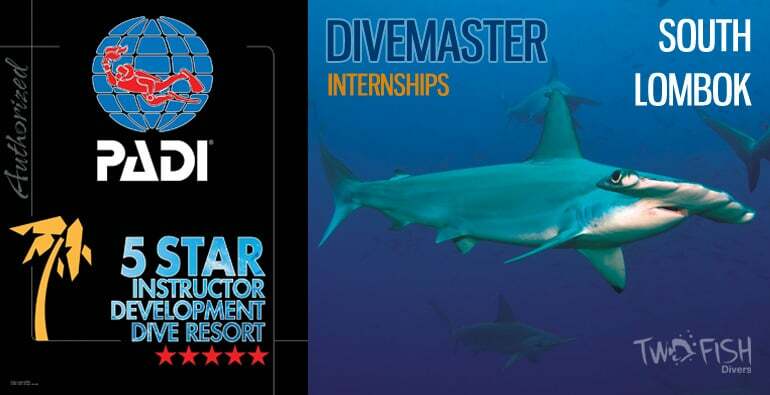 We believe we offer the best value for money out there for our Divemaster internships. If you do your PADI Divemaster course with us we’ll give you a 10% discount on our IDC, that’s a saving of more than IDR1,500,000! Unlimited diving in world-class locations!! WHAT DIVE EQUIPMENT WILL YOU NEED? BCD, reg and wetsuit – these are FREE in the price of your internship! Interested in owning your own equipment? We can give you a special 10% DM-discount on all our prices, email us for prices. Amazing. Loved the flexibility of learning at my own pace. The PADI Divemaster course is the first professional level within the PADI System of diver education and allows you to work as a training assistant on PADI courses and programs, supervise certified divers during pleasure diving experiences, and conduct some PADI programs independently. Becoming a PADI Divemaster consists of the following segments: knowledge development, practical application and the Divemaster final exam. 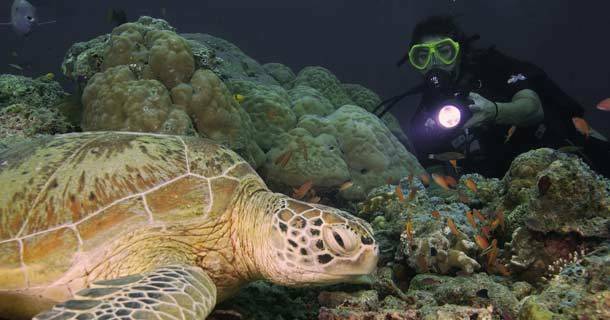 The online portion of the course, PADI Divemaster Online, covers nine topics that prepare you for the practical sessions needed to complete the Divemaster course. Through PADI’s eLearning® system and practical segments of the Divemaster course, you become well prepared to work as a PADI Divemaster. Prior to enrolling in PADI Divemaster Online, you must be at least 18 years old, have a current medical attesting to your diving fitness signed by a physician within the previous 12 months, and be a certified PADI Advanced Open Water Diver and PADI Rescue or hold qualifying certifications from another dive training organization. You must also have completed a Emergency First Response (EFR) Primary and Secondary Care course (or other sanctioned first aid and CPR course) within the past 24 months and be able to prove that you have completed at least 40 dives (60 before being able to complete the Divemaster course with experience of deep dives, night dives and underwater navigation). If you have any questions as to whether you meet the necessary prerequisites, please email us direct. The eLearning portion of the course is $200 (US) nonrefundable. This is an additional cost to the price of the course. Materials – The PADI Divemaster Online program will provide you with perpetual access to an ebook version of the PADI Divemaster manual, a required material. However, to complete the PADI Divemaster course, you also need a current PADI Instructor Manual, both the Table RDP and eRDPML, The Encyclopedia of Recreational Diving, and a set of the PADI Divemaster slates. These will be provided by us as part of your Divemaster Course. Please contact us to discuss total courses costs, equipment, materials and logistical requirements. Once you successfully complete Divemaster Online, you will need to successfully complete several practical assessments, workshops and other assignments with us on your internship. You will also need to complete the Divemaster Final Exam as well as meet the professionalism criteria. Once you finish the eLearning portion of the course, your dive center is notified that you have completed it and that you are ready for the practical phase of the Divemaster course. At the end of the eLearning program, you can print out your eRecord and bring a copy of it with you when you visit us. You can start your life changing journey right now! 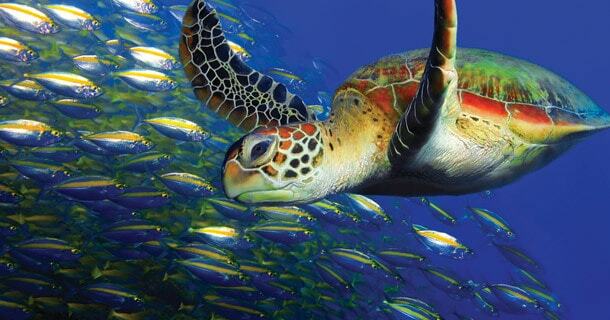 Please click here to go to our page on PADI website for your e-Learning Registration. When you are happy to book, all we ask is for a deposit and we will hold your booking for you. If you’re already in Bali and want to dive soon then the quickest way is to call us on +62 (0)813 3986 4832 and we’ll help you arrange your trip. WE LOOK FORWARD TO YOU LEARNING WITH US IN THE NEAR FUTURE! !